Any parent knows that keeping curious kids out of danger can feel like a full time job at times. 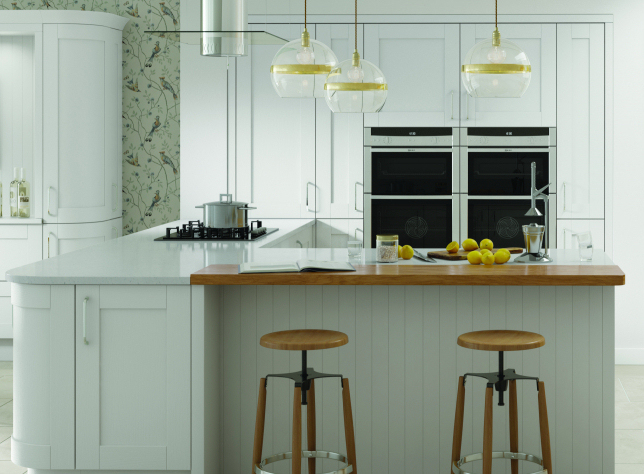 The kitchen is one of the most dangerous rooms in the average home, with plenty of hazards around which children should really be kept away from. Take steps to avoid burns – Of course, one of the top risks to children (and adults) in the kitchen is getting burned. Make sure you keep hot pans away from the edges of counters and tables, with the handles turned away, and don’t put anything too hot on a tablecloth that can be pulled. Open flames and hot appliances like ovens and dishwashers also need to be handled with care when children are around. Beware electrical hazards – Almost 90% of home injuries related to electrical devices will be experienced by children younger than five years old. It’s up to you to cover sockets that aren’t in use and keep appliances out of reach if possible. Lock cabinet doors – Sometimes it’s safer to keep doors locked, especially if you don’t use the contents of those cupboard very often. Glass display cabinets can be particularly appealing to curious children, but they’re likely to get hurt if they can reach in and start pulling things down (plus your best glassware might not survive either). A locked door keeps this risk to a minimum. Soft-close doors and drawers – When younger kids are helping out in the kitchen, it’s not unusual for them to be a little clumsy at first. 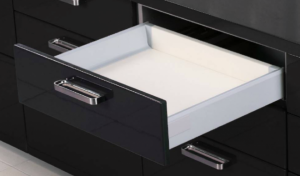 You can minimise the risk of fingers getting caught in doors by installing soft-close drawers, which roll neatly into place instead of slamming. This way, you can also quickly push drawers and doors safely out of the way. Use common sense! – Above all, it’s essential to use a bit of common sense whenever you have your kids in the kitchen. It’s great to plan fun activities in the kitchen and get the family involved with cooking, but take care to pack away any sharp knives and implements whenever you do, and supervise at all times.